1) Focus on Strength. This kind of training focus on things like your ability to sprint over a distance of 100-300m so as not to miss the bus, carry a heavy gallon full of water from the door to the kitchen, carry everything your wife decides to buy on a Saturday afternoon in the mall, etc. 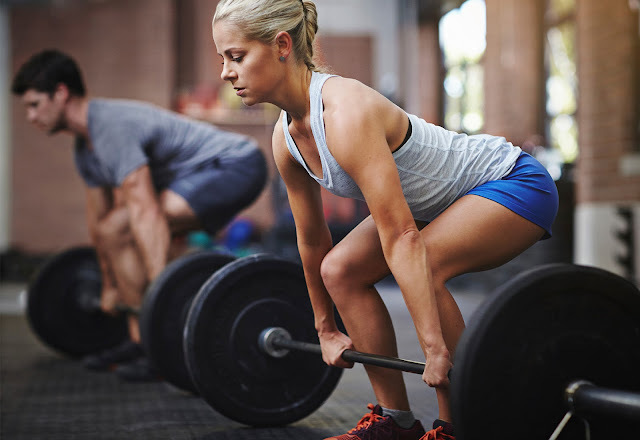 Strength training is not only about huge "guns" and massive legs; as you become stronger, it gets easier shredding fat away, getting stronger bones, improving stamina and performance in... everything (SEGUIN et al., 2003). 2) Focus on the Big Four. We have already mentioned them in a previous article: squat, bench press, deadlift and pull-ups. These are extremely functional movements that recruit the muscles of your body as a whole, thus allowing more efficacy and efficiency when we focus on results. 3) Skip Machines Whenever It Is Possible. They may even look like safer options, but let's face it, your car's seat belt also offers safety but you will not get any stronger just by using it. Free weight training offers you the opportunity to improve not only all muscle groups, but also tends to recruit more core muscles, those responsible for your posture (GREGORY, 2000). 4) Keep It Simple. Checkers is a simple game and it is still very popular, Resident Evil on the other hand, that zombie game, is a very interesting, complex and exciting game, but my mother will never play it. Some coaches will offer you miracle workouts with different pauses and tempos over the different phases of a lift, variations of the same exercise on 4-5 different machines and workouts that exceed the 90-minute line per session. Do they work? Yes, if you are a kung-fu master and do not have to work in an office the rest of the day. 5-8 exercises per workout, 30-60 minutes per session and nothing more. 5) Keep Track Of What You Do. You do not have to stop living your life to keep track of the details. But logging your workouts as well as your main habits and changes is a great strategy for noticing visually what is improving, what has worsened, what works, and what needs to be changed. There are apps that help us do this in terms of training, food, sleep, and money (there are links to these apps in each of the highlighted words). 5) More Does Not Mean More. There is no use going to the gym every day, doing several hours of functional training, CrossFit, Bodybuilding, biking, etc. if you do not give your body time to grow and recover (ÓKERSTEDT et al., 2009). 6) Increase The Load, Decrease The Number of Repetitions. If the goal is to increase strength, lose fat and increase bone density, you do not have to keep doing endless repetitions of each exercise. Focus on high intensity, challenge yourself by increasing the load in the barbell and achieve higher nervous and hormonal adaptations. 7) Increase The Intensity Of Your Cardio Workouts. Fact is that your heart does not stop at any moment. All kinds of physical activity might serve as a complement to your cardiovascular health, but since it is common to use the term to refer to mono-structural workouts like running, swimming and cycling, I suggest you increase the intensity of your workouts in order to reduce unnecessary muscle tissue breakdown, increased fat loss and increased muscle tone. Keep Strong. And Go out There Now and Put It All in Practice.